I invited a friend to a social gathering recently, and when I told her the location and venue she said she won’t have fun if her kids are bored. 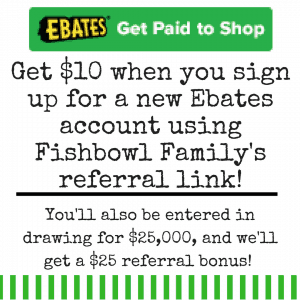 This post, Why I Don’t Care if My Kids Are Bored, contains affiliate links which means that if you click on a link and make a purchase, I’ll receive a small compensation at no extra cost to you. Read our full disclosure policy. I wasn’t shocked because of the bluntness of the suggestion. 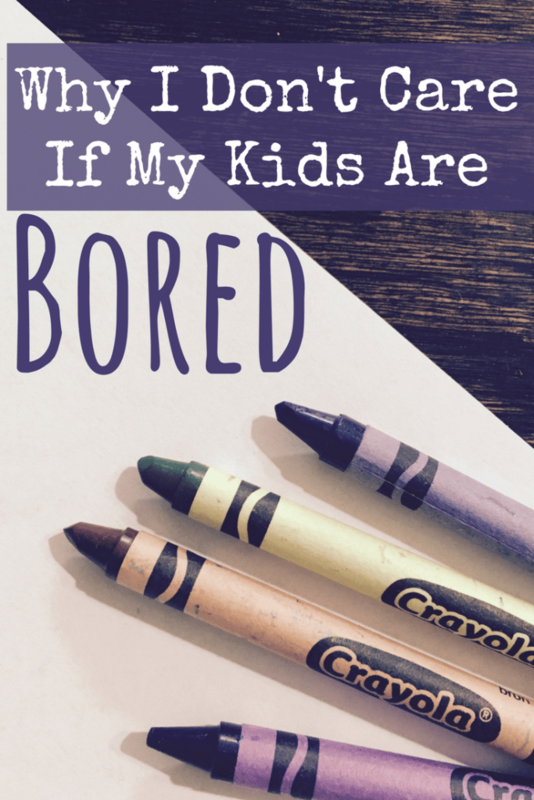 I was shocked because worrying about my kids’ boredom had never even crossed my mind. Sometimes kids are bored. 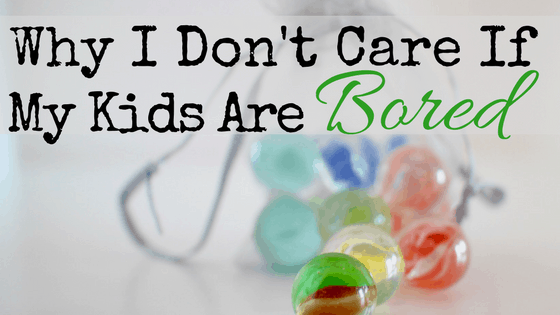 And, quite frankly, I don’t care if my kids are bored. There are numerous reasons why boredom is not a concern of mine, but here are the top five reasons. When the Anthony kids say they are bored, I give them one chance to go find something to do. If they persist in their supposed boredom, I give them a chore. After that chore is completed, they are free to go and find something to relieve the boredom on their own. If they come back and tell me they’re bored again… they get another chore. Life is not always exciting. There will be times in life that you get bored. When that happens, there isn’t going to be someone with a preplanned craft project waiting for you. No one is going to appear and take you outside for a game of kickball. There will be a point in every person’s life that they are responsible for their own entertainment. Why wait until kids are grown to give them that responsibility? Due to the “bored means chores” rule, my older children are very hesitant to tell me that they’re bored. Instead, they’ve learned to entertain themselves. Granted, there are four of them so they basically have a party everywhere they go. I’ve seen them invent some incredibly fun games using only two paper plates. They have pretended to go fabulous places in cardboard boxes and closets. They have decided on their own to make cards for nursing home residents out of copy paper and four crayons. Given the opportunity and freedom to create, kids will. If you constantly hover over them with a bag full of stuff to keep them entertained, they won’t. And by keeping them entertained, you are teaching them that they can’t entertain themselves. You are literally making them dependent on you for their entertainment. So, unless you want to spend the rest of your days as Mary Poppins pulling stuff out of her magical bag, you should probably stop bringing a bag full of stuff. If I give my kids a bag filled with fun activities, the first thing they do is argue over who gets what. If I tell my kids to figure out something to do with each other, I’ve shifted the paradigm. Now they aren’t competing with each other for limited resources. Instead, they are a team trying to solve a problem together. And when they do succeed in solving their problem, the joy and pride on their faces is amazing. They love telling me about what they created, and they always build each other up, bragging on the ideas that their sibling suggested. If I know that there is a guaranteed way to encourage cooperation among my kids, why would I ever do anything else? Isn’t one of the major goals of parenthood to raise creative people that are able to work well with others? Speaking of goals of parenthood, one of our primary goals should be to teach our children how to live life without us. You’re not a cruise director who’s primary job is to direct your children’s entertainment. You’re supposed to be teaching them about becoming an adult that can fully function without you. Part of that means letting them figure out how to entertain themselves, or *gasp* how to not be entertained. I want my kids to eventually be able to sit at a table and participate in a conversation that isn’t all about them. I want them to be capable of being fully engaged in things that don’t totally interest them. That’s part of being an adult. Adults sit with other adults and listen to each other talk. The conversation isn’t always interesting. People often talk to me about things that I do not care about at all like: the stock market, cars, fishing, professional sports, politics, golf, and almost anything to do with Great Britain. But I do care about the people talking, so I listen and converse about topics that are of no interest to me. The value is in the relationship I’m maintaining with the speaker. Our purpose in life is to love God and love others. Teaching children to serve is much better than entertaining them. We want our kids to be the sort of people who are always willing to lend a hand. This is part of our effort to be deliberate about parenting. At this point, I’m just modeling what it means to serve. I’m showing them what it looks like to be in the kitchen preparing food for others to enjoy, rather than just showing up to eat. I’m not able to do this at every meal because we’re Baptist and we eat at church a lot. But what we’ve modeled has been noticed and imitated. At the Valentine’s Banquet, Brinley, 8, asked if she could help serve rather than go to watch a movie with the other kids. She did it without prompting or discussion. She just saw that there was a need, and she wanted to help. We are learning to be grateful for the boring times of life. In fact, some of the best times in life aren’t exciting. Some of my favorite moments from the past ten years have been found in the quiet spaces of a lazy Saturday spent being silly with my husband and our little budding comedians. We laugh and we dance and we enjoy each other. No tablet, device, or game can come close to that. How do you deal with bored kids? **Side Note: please don’t misunderstand me, and think that our kids have no toys. In fact, they have so many toys that I briefly attempted to be a minimalist before quitting minimalism completely. But we make an effort to buy them toys that will help them in some way. We want to give them things to play with that will help to make them into better adults. We try to choose toys that either encourage brain building, creativity, teamwork, or some other desirable trait. Marble Run: 123 Piece Set (103 durable pieces and 20 marbles) EXCLUSIVELY AT MINDWARE! When my three kids were growing up and used the word “bored,” they knew the next activity in their schedule was going to be scrubbing the front porch. As you might imagine, I didn’t hear that word very often. They had a closet full of board games, art supplies, a play house and big backyard and lots of books. They figured out how to make their own fun and developed great imaginations. Your additional emphasis on serving others is going to be a lifelong source of satisfaction for them. Haley, I greatly enjoy your posts. I’m so glad my Claire has you for a friend. God bless you all. Ginny I love that! I’ve never thought to have them scrub the front porch, but that is definitely going to be added to the list! And Claire is an awesome friend and mom so your methods obviously work. I’m glad I’m on the right track! This is fantastic, Halee. God has given you a way with words. After reading this I wish I had it to do over. Raising my son I mean. But now that I think about it, with Jim being so sick all of the time, I think Stephen did spend a lot of his time bored. At home and at school. God works all things to our eventual good. I’m proud of my son. What I find so exciting about your blogs is that you are so intuitive and practical. And your sense of humor is refreshing. Keep up the good work. Thanks for the post. We also do as you do. We have an extra chores chart for boredom remedy haha. I do find though, that with regular chores and schoolwork, they learn to appreciate their free time so well that the boredom thang is rarely a problem, don’t you? I think oftentimes children feel entitled to, “free time” without chores, or work… after a while that free time get’s a little less and less exciting resulting in higher expectations. Great list of games and toys as well. We have several, and so I look forward to checking out the ones we don’t have. Thanks again, Halee! Yes Paula! On the days that I am lax with our schedule and let them lounge around instead of doing chores, getting dressed and being productive they are so grumpy! They absolutely appreciate the free time when they have worked and earned it. 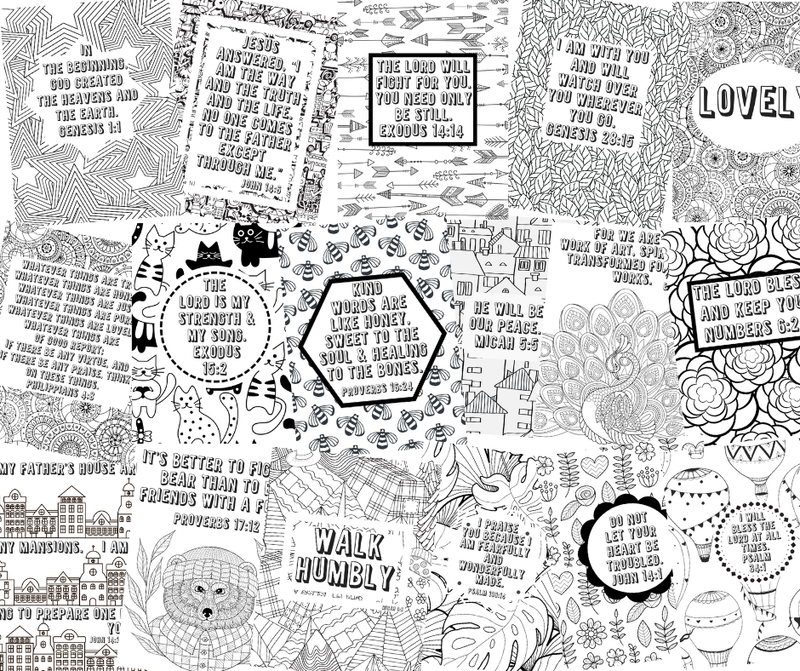 I ran across your blog post on Pinterest and am so glad I did!! Love your approach to bored children! I will definitely be using this with my two boys. As a teacher, I see teenagers every single day that lack creativity and critical thinking skills. They constantly need to be entertained and have trouble working with others and/or persevering through difficult tasks. We need to teach our children those valuable skills! I think your approach has done a great job instilling those in your children.